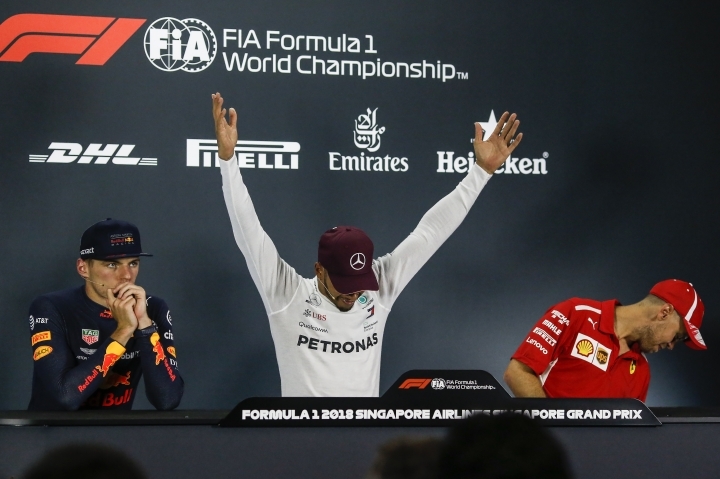 SINGAPORE — Lewis Hamilton sounds unsure of just one thing: whether Ferrari can bounce back after he dealt another crushing blow to Sebastian Vettel's title hopes. 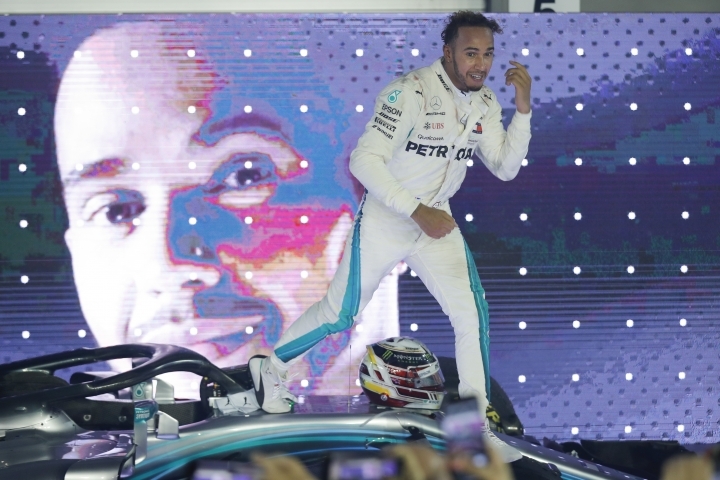 Hamilton was imperious at the Singapore Grand Prix, securing one of the best pole positions of his Formula One career with an astonishing drive in qualifying on Saturday and then controlling Sunday's race perfectly. "We're not over-confident, we're diligent. We just want to keep hammering as hard as we can," Hamilton after Sunday's win, still sounding elated long after his victory. "If (Ferrari) have got an answer to that, we don't mind that, we like that battle. If they don't, we also don't mind that." These are big "Ifs" for a Ferrari team lurching into crisis after a strong start — as Vettel won the first two races and four of the first 10. 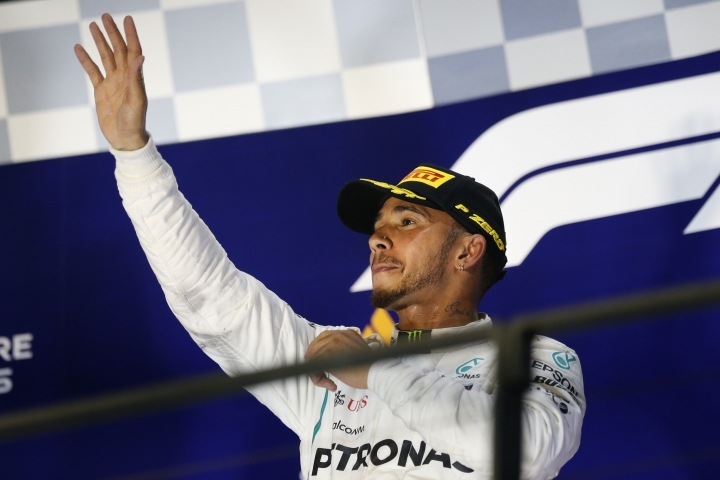 They were neck and neck heading into the summer, but Hamilton has won four of the past five races despite acknowledging his car is not as quick. "Ultimately, I think we're over-delivering," Hamilton said. "We've out-performed a car that's often slightly better — out-performed them as a team." 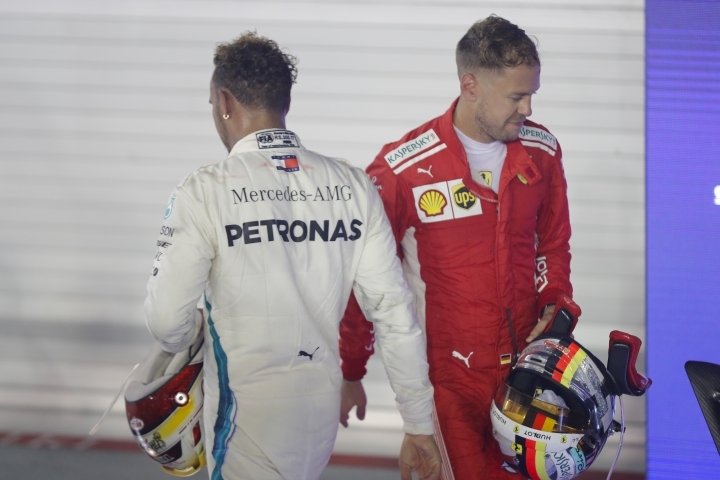 Both are four-time F1 champions and vying for a fifth win to move level with Argentine Juan Manuel Fangio and within two titles of F1 great Michael Schumacher's record. But Vettel, who crashed in the rain while leading the German GP in July — where victory would have given him the championship lead — makes mistakes Hamilton simply does not. His team botched qualifying when a poor strategy call put Vettel and teammate Kimi Raikkonen on the wrong tires. Ferrari compounded that by bringing Vettel in too early for a tire change during Sunday's race, hoping to gain advantage by pre-empting Hamilton's anticipated move. Instead, Vettel lost one place in the race and ended up third, wasting points he cannot afford to lose. Ferrari's mistakes this season have started to pile up, while Mercedes is making the right calls and Hamilton is making the most of it. Hamilton said Vettel's crash in practice was not Mercedes "lucking in," but more about the differing approaches of the rival teams. "I take pride in not putting myself in those positions," Hamilton said. "The team's relying on me as his team's relying on him. "There's a lot of pressure on us as drivers, it's only small percentages and (when) you get wrong it has bigger ramifications." While Vettel was again publicly critical of his team following qualifying and the race, Hamilton has faith in Mercedes — to such an extent that he's now spending far longer in team debriefs than he ever used to. "I encourage them to ask me questions, and they did. More than ever, the communication has been an addition," Hamilton said. "We're going from strength to strength in terms of our understanding of the car." 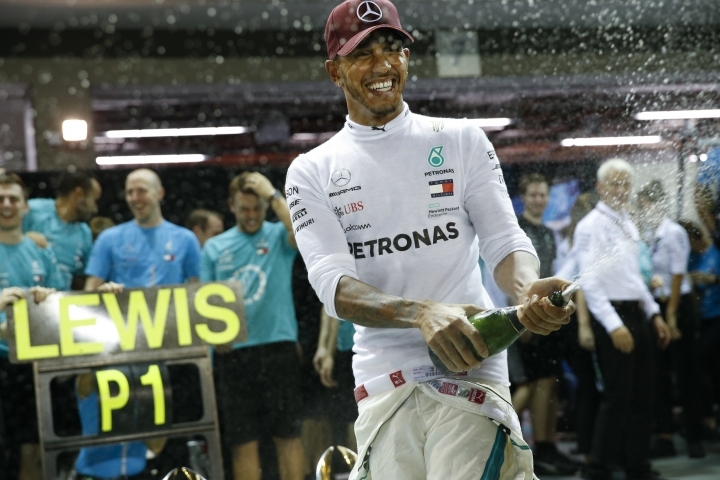 It is quite some turnaround from 2016, when Hamilton — who was at odds with Nico Rosberg and lost the drivers' title to his teammate— was unhappy at certain decisions. With six races left, starting in Russia in two weeks' time, Vettel has to find his best form and hope Hamilton slips up. Given Hamilton's focus, the way he is talking, and his uncanny ability to stay fresh for the races, that seems very unlikely. "I've got a few days off, probably doing yoga and training hard Tuesday onwards," Hamilton said. "The focus has to remain the same, if not more."